My Super Bowl look: Something old, something new, something upcycled, something blue. 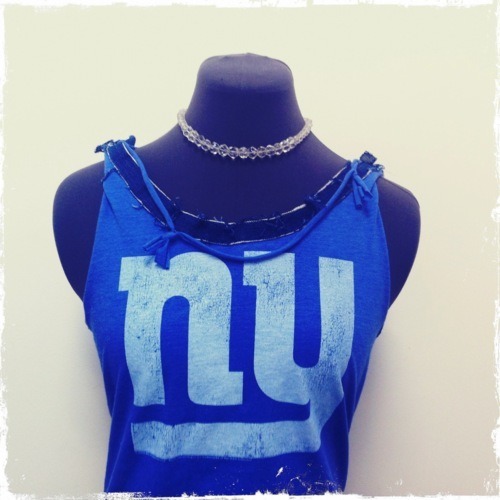 I took a NY Giants shirt and recreated it by cutting off the sleeves and adding details to the neckline with a strip of denim from a thrift store pair of jeans and fabric from the cut-off sleeves. The necklace is was made with a string of glass beads from a broken chandelier purchased from a yard sale.